Foermer Super Eagles players, Nwankwo Kanu, Augustine Eguavoen, and Samson Siasia have all agreed to play a Charity game in a bid to raise funds for the recovery effort of the Wilson Oruma, who is battling mental illness after losing his savings to swindlers. According to Waidi Akanni, former Chairman of the Lagos State Football Association, the game will take place in Lagos sometime around February, 2018. 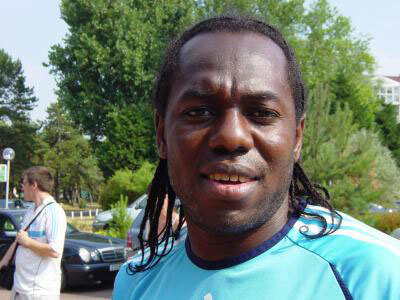 He also said: “Taribo, Kanu and some of the Atlanta 96 set are keen to turn out for their former teammate." The players have also been trying to reach his family to reassure them of their support and also to know how they can help in his recovery. Six years ago, the Former Lens players lost most of his money to swindlers who convinced him they were trying to help him invest in the oil sector. It was thought that he had recovered, but recent revelations points to a relapse.